Recent successes coming out of the Rising Tide initiative as well as my own Liopropoma rearing tanks have inspired me to revisit the idea of collecting eggs and larvae from the 20,000 gallon reef tank at the Long Island Aquarium. 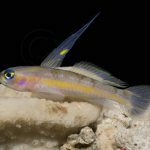 Although a variety of fishes can be seen spawning almost every night in our reef tank, we have had a difficult time getting to the pelagic eggs before they could be eaten by other inhabitants. A few months ago, we began to experiment with air-driven egg and larval snaggers similar to the ones being used by the New England Aquarium and Rising Tide collaborators, however the strong flow created at the surface by the various prop units, surge devices and return lines apparently prevented the collectors from working efficiently in this tank. In spite of a lot of spawning activity, it was uncommon for numbers of eggs or larvae collected in a night to exceed single-digit status. So we decided to take advantage of the high flow by placing a plankton net just downstream from the largest prop unit. Immediately, we began catching hundreds (and sometimes thousands) of eggs from some of the pelagic spawners in the tank, and if our collection coincides with a hatch-out of some benthic spawn, we get some larvae as well. Over the last two months, I have been taking eggs and larvae from the reef tank and applying the same techniques I have been using to rear the Liopropoma basslets (see Reefs for all the details) using only the cultured copepods, Acartia tonsa, Pseudodiaptomus pelagicus, and Parvocalanus crassirostris, all of which are available from Algagen. Although there are abundant difficulties involved in maintaining a larval rearing tank with multiple species of varying age, we are starting to see some success. 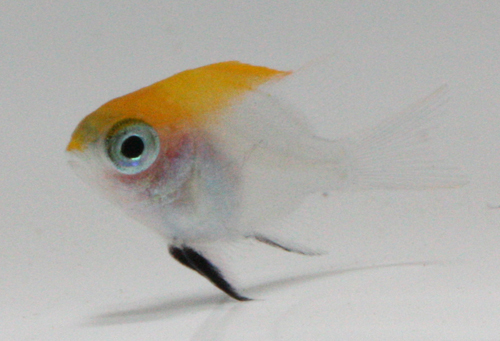 I have identified late-stage larvae of both angelfish and tangs (around one month of age), several times in my rearing tanks, but unfortunately I still have not achieved settlement from either of these. 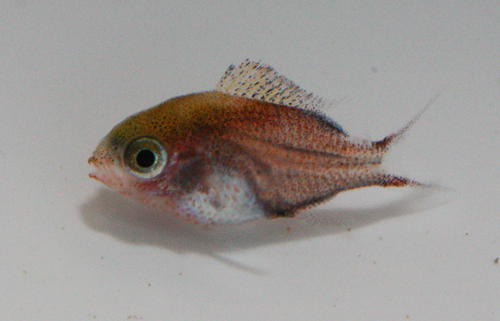 The first fish to settle from our renewed collection efforts was the bluefin damselfish, Neoglyphidodon melas. 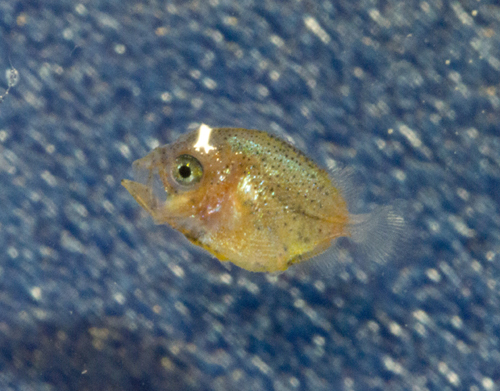 A few weeks later, another damselfish settled out and was moved into a growout tank. 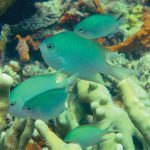 It was nearly two weeks post settlement before it had enough color to identify it as the barrier reef chromis, Chromis nitida. As I write this, I have several rearing tanks full of a soup of unidentified larvae, just waiting to be raised. 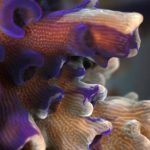 One of the most exciting aspects of this project is the knowledge that most of the species in our reef tank have never been raised in captivity. Hopefully, I’ll be posting more exciting updates here soon. How exciting Todd! Thanks for sharing with us the advancements you have made. As a reef hobbyist, I hope one day we can sustainably provide tank raised fish specimens for this hobby and not have to constantly take fish out of their natural homes. Keep up the great work! This is about as cool as it gets. Cannot wait to see what other breakthroughs will come from this. I imagine this whole project is unparalleled in the captive breeding world, where else but NYA’s 20,000 gallon reef is this even possible, amazing. Thanks Guys! 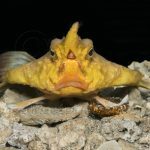 I’m not sure why my photo captions didn’t come through, but the top photo is a 1-month-old angelfish larva (Photo by Chris Paparo). Not sure which species, but we have emperor, annularis, and blueface angels in the reef tank. Joe also got a mate for his regal angel recently, but I don’t think they’d be spawning yet. The other two photos are the two damsel species mentioned in the post. Never Leave Your Couch Again!